RVG’s A Quality of Mercy may be the indie revival we’ve all been waiting for. Complete with stirring post punk guitar, mesmerisingly smooth melodies and nostalgic garage psych, what makes it so special is that it’s all underpinned by exceptional writing and vocal work, thanks to vocalist and songwriter Romy Vager – it’s a delivery that drips with soul and presence. The lyrics and voice are the nucleus of A Quality of Mercy, with soft, textured music and vintage tones hugging around them like a blanket. It’s refreshing to hear an album that is so unstudied, full of energy and vigour but also thoughtful and confident. 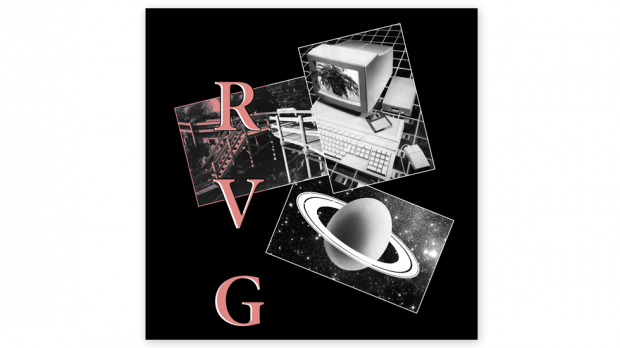 RVG are unapologetic in their vision and sound, it’s one that mixes British post punk, indie, surf rock and garage with sprinkles of pop and goth – but it’s always, always romantic. A Quality of Mercy stands head and shoulders above most bands that dabble in these genres, thanks mostly to Vager’s writing and her breathtaking old school rock and roll voice, which delivers equal parts empathy and hatred in each timely blow. Opener, title track and lead single A Quality of Mercy ever so eloquently reminds us why music matters. It discusses the torture of the Bali 9 individuals and the war against political correctness, also taking aim at The Herald Sun readers and society’s fickleness over issues that should matter. With the chorus chanting “there is no evil in me” you can’t help but be reminded of the shades of grey in people, the good and the bad, with the good being driven out by our harsh modern world. RVG shun obvious hooks for delicate, subtle changes that still manage to have the same hypnotic effect. It’s this kind of confidence in doing less that makes them reminiscent of The Triffids or The Go-Betweens or even The Psychedelic Furs. Lyrically speaking, RVG are right up there with their iconic Australian counterparts. In fact, not since The Drones unleashed Feelin Kinda Free, has there been such sincere and beautiful songwriting in Australian music. Standout Cause and Effect is an upfront, catchy number that has roots deep in British post punk and indie – think Echo & the Bunnymen. The song talks nonchalantly about letting go and is a big ‘good riddance’ to love. It subtly builds into the bridge, which is where Vager expels “and my love, you know you are the only one, that I ever despised, in the whole of my life, I used to wish you would die”. The timing of the phrasing, and the gutsy delivery is nothing short of perfect. The album has some more lighthearted tracks in IBM and Feral Beach. IBM is a surf rock number that features an old internet dial up service connection as Vager jokes; “You feel in love in with IBM, now you’ll never fall in love again”, hinting perhaps at society’s blind obsession with the internet and social media. Feral Beach is a Go-Betweens–esque indie rock track, with elements of spacey, minimalist, dazzling melodies that somehow feel completely familiar even on the very first listen. Heart Paste showcases more understated vocals; it hums along like a well-oiled machine and acts as a palette cleanse, giving the songs either side more edge and adding dimension to the album, it demonstrates the album’s thoughtfulness and personal touch. That’s All hints at the bands more experimental leanings, being the last track on the album and at five minutes long, it is a brooding, soaring love songs that slowly grows, ending things on a touching, uplifting note. If you needed anymore convincing that A Quality of Mercy is a pinnacle in poetry and writing, you need go no further than another stand out track, Vincent Van Gogh, in which Vager pleads “You say you’re hard done by/ You say you’re a wreck/ But the damage you do is worse than the damage you get”. Or in Eggshell World where Vager beautifully summarises the complexities and contradictions of life and being human: “I wanna go home, but I wanna stay under the moon/ If there were two of me, well one could be with you/ One that lives, the other hurts/ Breaking their skin on the eggshell world”. Simply, easily, perfectly. The whole way through the album, it’s Vager’s vocals and palpable charisma that really drives it. It’s a rare person that can transmit such a punk spirit with such a fragile indie heart. It’s what that makes the songs so incredibly human and effecting. The efforts fellow bands mates Rueben (guitar), Angus (bass) and Marc (drums) to work with this power and contribute to it, is flawlessly measured and demonstrates the band’s chemistry. The juxtaposition between vulnerable, exposing, and (at times) sad writing against the lush, effervescent guitar sounds and gentle drumming makes it equal parts pop and goth. A Quality of Mercy is evidence as to why we should all be true to ourselves and our vision – because only by being ourselves can we create something so genuine and authentic – aka a masterpiece – which is exactly what the Romy Vager Group have given us.